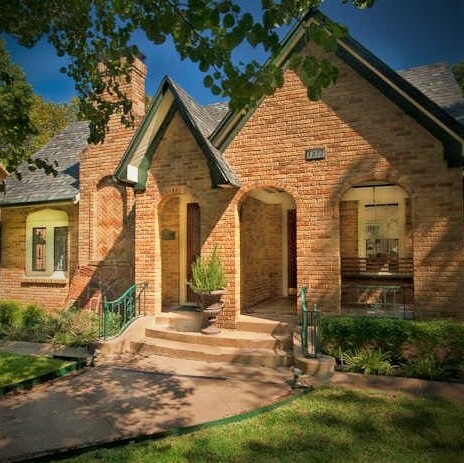 BORN IN THE 1920s, Hampton Hills has one of the most undisturbed stands of original architecture in the city of Dallas. Because of its easy access to major thoroughfares, mass transit, downtown Dallas and Oak Cliff’s thriving Bishop Arts District, Hampton Hills is a neighborhood of choice for a diverse group of residents who take pride in their homes and eagerly welcome newcomers. What makes Hampton Hills a great place to live? Facts and stats don’t tell the whole story. Demographic information can’t draw back the curtains and shine a light into the window of a neighborhood’s soul. Hampton Hills has a personality, an essence, a reason for being. Sure, its close access to two interstate highways (I-30 and I-35E) makes getting from Hampton Hills to any other part of the city a quick, easy process. Without doubt, its attractive architecture and tree-lined streets are impressive. But the most important asset of Hampton Hills is its diverse population of residents who love living near the urban center of Dallas. So whether you’re already a resident or considering a move here, we hope you’ll learn this and more about Hampton Hills, and discover why this neighborhood is one of Oak Cliff’s best-kept secrets. If you haven’t yet visited our neighborhood, strolled our streets, or admired our architecture, you’re in for a treat. Neighbors are welcoming, and make sure you’re a stranger only once.